Cuba on Friday said new sanctions planned by the United States were a futile attempt to change its policies and would only further isolate Washington internationally. U.S. President Donald Trump’s national security adviser, John Bolton, announced on Thursday that more than two dozen Cuban companies associated with the Communist-run island's military or intelligence would be added to the more than 100 that Americans are already banned from doing business with or patronizing. The announcement came just an hour after 189 member countries of the United Nations called in a resolution for an end to the U.S. economic embargo on Cuba. Washington tried without success to amend the text to push Cuba to improve its human rights record. The U.N. vote can carry political weight, but only the U.S. Congress can lift the more than 50-year-old embargo, which Cuba calls a blockade. The United States and Israel voted against the resolution. Bolton outlined the Trump administration's plans to get tougher on Cuba and its allies Venezuela and Nicaragua in Miami, the heart of the three countries' exile communities, just days before the midterm U.S. congressional elections. 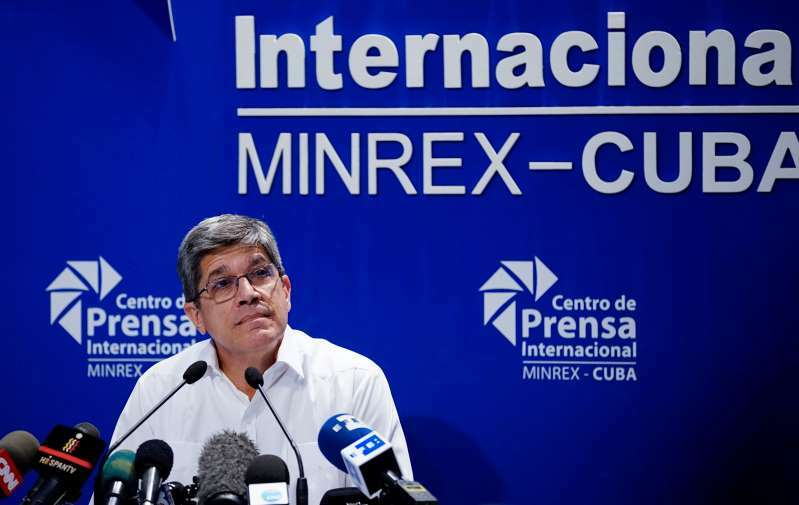 “We energetically reject these measures which will impact the economy and country’s development on top of the impact of the economic blockade,” the director of U.S. affairs at the foreign ministry, Carlos Fernandez de Cossio, said at a Havana press conference. “They will fail. They will not break the will of Cubans,” he said. Trump has taken a harder line on Cuba after former President Barack Obama sought to set aside decades of hostility between Washington and Havana. He has rolled back parts of Obama’s 2014 detente by tightening rules on Americans traveling to the island and restricting U.S. companies from doing business there. Bolton also said the administration would review whether to allow U.S. citizens whose property was seized by the Cuban government to sue foreign companies that have invested in the properties on the island, a longstanding demand of hard line exiles. The measure is part of the Helms-Burton Act, which codified all U.S. sanctions against Cuba into law in 1996. It has been waived by various presidents ever since due to opposition from the international community. Fernandez de Cossio said such a measure would be unprecedented and violate international law, further isolating the United States. “There is no possibility whatsoever for people who abandoned Cuba and abandoned property in Cuba to come back and claim them,” he said.